Once a month we spotlight one of our mentors at PortXL, who will share an industry challenge. 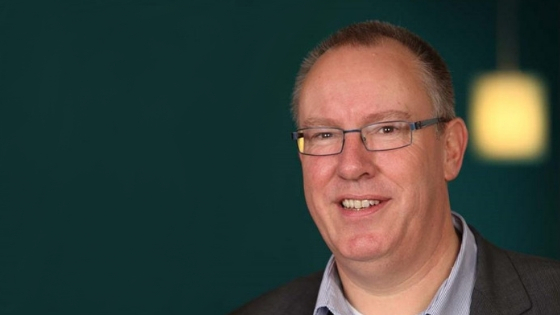 Edwin van de Brug, who has been at Van Oord since 2015, is currently holding the role of Regional Manager for the development of Offshore Wind in Germany, Denmark, and the Baltic Region. On top of that he is a mentor for PortXL Rotterdam for the 2019 acceleration program. In this interview, Edwin sheds light on the challenges for the Offshore Wind industry, and how it is the ‘startup’ of the Energy sector. As a Regional Manager, my role involves looking at opportunities, clients, tenders, proposals and developments for offshore wind in Germany, Denmark, Poland and the whole Baltic region. What I tend to look at is designing, supplying and installing everything which belongs to on an offshore wind farm. With the exception of the supply of the wind turbine itself, which does not fall to us, but we do install them if required. We also design and install foundations, cables, vessel stations – in short, everything required for an operational turbine producing power offshore. 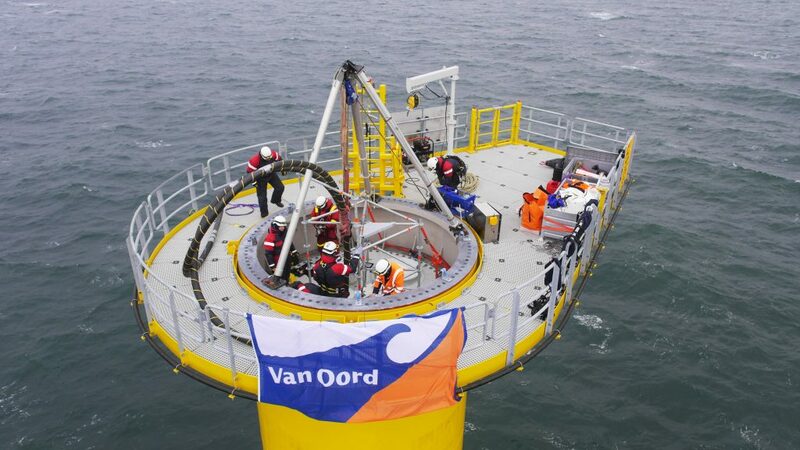 I got involved in offshore wind in 2001 with the proposal of the first offshore wind farm in the Netherlands. From 2002 to 2003, I was involved in the first real Dutch wind farm, which was how it all started for me. That puts in perspective how young this industry is compared to other infrastructure works, as we’ve been building bridges for over 3000 years. Offshore wind has had a successful start in Northern Europe, and since expanded to Asia, where we have plenty of projects currently underway in Van Oord. The offshore wind market is getting bigger and bigger from its starting point in Northern Europe. However, the rapid growth does not come without any issues – and with issues come opportunities. 15 years ago, we started with 2MW turbines and we thought that 5MW would be the ceiling. We have now reached 10MW turbines and 12MW are gradually getting introduced. The power rating has sextupled and there are whispers through the grapevine of 15 and 20MW turbines being in the pipeline. The foundations have expanded from 200-250 tons to 1300 tons, so the weight has quintupled. On this topic I once infamously said over a decade ago that the foundations would never exceed 500 tons. Clearly, I was wrong, and this speaks to the unpredictability of this young industry. The volatility of the industry makes it challenging to develop a design that will last through the ages, as within two years massive expansions in size can and will happen, if the past is to be our teacher. The trend is towards larger and larger turbines – with good reason. A 15MW turbine requires one foundation and one installation – while with 5MW turbines you triple your workload. When building an offshore wind farm, you strive to require as few turbines as possible – and that means the bigger the better. The race towards larger sizes is incentivised by cost efficiency – one large turbine will create more power and require fewer maintenance compared to a few smaller turbines. 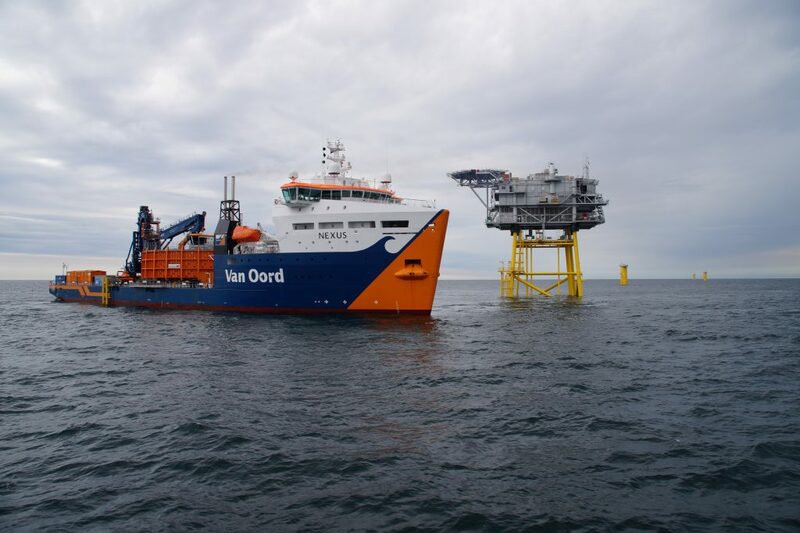 While offshore installations are costly, for Van Oord that is not an issue as we do have an adequate fleet that can handle the procedure. And fewer installations means fewer trips required, to the benefit of the budget. Where does it stop? The answer is blowing in the wind. I speak not just for myself – but I believe also on behalf of other industry experts – when I say that we simply don’t know how large the turbines of the future will be. We expect them to plateau at some point but so far the goalposts keep moving and each year we have designs for bigger turbines. Much like the winds it harvests to produce power, offshore wind is a volatile industry. Which it’s the nice thing about it – you have no idea what exactly is going to happen and have to go with the wind – and that makes it exciting! Because Offshore Wind is such a young industry, we don’t have all the standards and regulations that more established industries would have. We still need to do some real scientific work to optimise much-needed regulations and engineering rules. Mainly because offshore wind is really the new kid on the block. Much like PortXL looks at startups, Offshore Wind is very much in a ‘startup’ phase, compared to other engineering developments, which makes it a lot of fun to make it part of that startup market and we like to share that with the community and with PortXL. This is where new gamechangers have an opportunity to step in and help us shape the standards and regulations for the future of the offshore wind industry. From large scale ideas of someone popping up with an innovation that allows you to install larger turbines without the need for massive vessels, to ideas where they say, stop! – let’s not get bigger but get smarter and come up with new installation methods where you don’t use all that equipment. Currently you see at a lot of people coming up with new connections between foundation and tower – something we are also looking into and we see some innovative approaches. Those are the things we are looking at, the smaller changes, which can have a big impact.